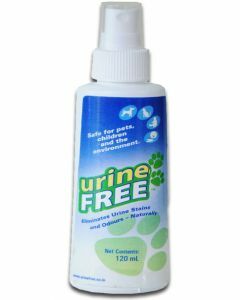 For cleaning urine and other stains created by your pet dog, we at PetsWorld offer you highly effective stain removers which are completely safe to use around pets and children. 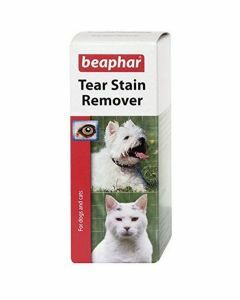 We also stock tear stain removers for cleaning dirt and stains around the eyes of your pet dogs and cats. 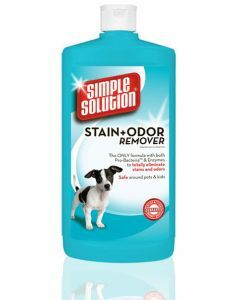 Simple Solution Dog Stain and Odour Remover help in wiping out the toughest of stains in your carpets, bedding, upholstery and clothes. 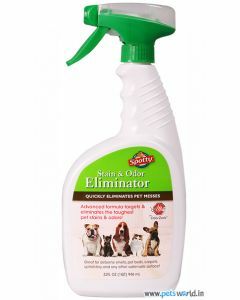 It completely eliminates the odour instead of just covering them up. 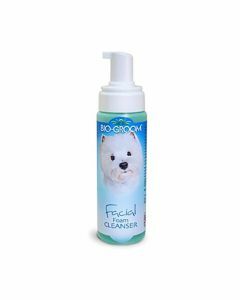 It has a potent combination of pro-bacteria and enzymes which quickly removes the pet messes. 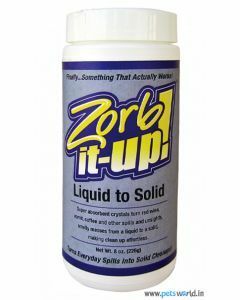 It also clears off household stains like coffee, tea, juice and red wine within no time. 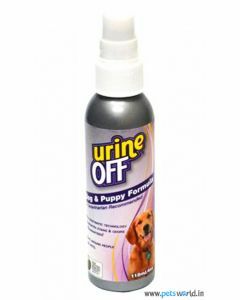 Urine Off Stain and Odour Remover is another high-quality product which offers a fast clean up of stains especially pet’s urine. 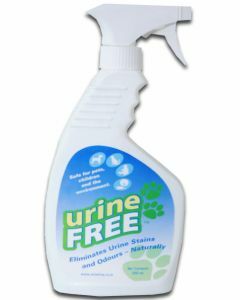 It has a special formula which breaks uric crystals easily and makes it easier for clearing the urine. It is absolutely environment-friendly and does not harm your fabric or your floor. 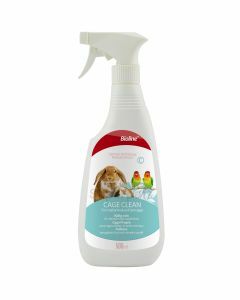 For cleaning the cages of birds and rabbits, we have PetBrand cage clean spray having the goodness and essence of Lemon, which ensures an fast and effective cleanup.